NEW DELHI/ISLAMABAD (Reuters) - An Indian government minister reiterated on Thursday the country's plan to restrict the flow of water to Pakistan from its share of rivers, the latest effort by New Delhi to pressure its neighbor after a militant attack in Kashmir. "Our government has decided to stop our share of water which used to flow to Pakistan," Nitin Gadkari, transport and water resources minister, said in a tweet. He added that the country would divert water from eastern rivers and supply it to its people in Jammu and Kashmir and Punjab states. 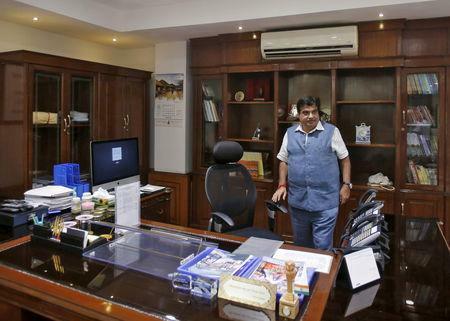 Gadkari did not elaborate but officials from his ministry said he was re-stating decisions already taken by Prime Minister Narendra Modi, including a dam project cleared by his cabinet last December. Officials said no new decision had been taken on Thursday. Gadkari's comments underlined New Delhi's anger over an attack by a Pakistan-based militant group last week in the disputed region of Kashmir, which killed 40 paramilitary police. India has accused Pakistan of not doing enough to control such groups, while Pakistan has denied involvement. The sharing of water supplies from the Indus River and its tributaries between the two countries is regulated under the 1960 Indus Water Treaty. In recent years India has begun ambitious irrigation plans and construction of many upstream dams, saying its use of upstream water is strictly in line with the treaty. Following an attack on security forces in the Kashmir town of Uri in 2016, India began to fast-track development of some of the dam projects, escalating tensions between the arch-rivals. Pakistan has opposed some of these projects saying they violate the World Bank-mediated treaty on the sharing of the Indus waters, upon which 80 percent of its irrigated agriculture depends. On Thursday, Pakistani Prime Minister Imran Khan authorized the country's armed forces to hit back against India if attacked but repeated a call for an investigation into the attack in Kashmir. "The incident was conceived, planned and executed indigenously," said a statement issued following a meeting of Pakistan's National Security Committee, which added Pakistan was "not involved in any way, means or form". India’s top military commander in Kashmir, Lieutenant-General K.J.S. Dhillon, accused Pakistan’s main Inter-Services Intelligence spy agency on Tuesday of controlling those behind the bombing and warned of retribution. India has long blamed Pakistan for a nearly 30-year revolt in Jammu and Kashmir, its only Muslim-majority state. Pakistan denies any involvement and has repeatedly urged New Delhi to hold talks to decide the future of the region.